Join in on an Arbor Week event or learn how to plan your own! Use our resources to help spread the word about California Arbor Week in your community. Get your school or organization to participate in a California Arbor Week poster, video, or photo contest. This complete planning and promotion kit will decide which kind of California Arbor Week event is right for you, and help you encourage community involvement, get more media attention, attract and build partnerships, and multiply your efforts. A brief announcement of an event or press conference that gives information such as the place, date, time and purpose of an event — this helps you raise a lot of publicity and get more people involved! The press release is usually sent out the day of your event or after it is over. This allows you to share the success of your event with a wider audience. Teachers and organization leaders can use our poster contest (for 3- 5 graders) to get kids thinking about trees in creative ways. This year’s POSTER CONTEST theme is: I See Trees In My Future. Share these contest rules with your teacher! Check out our “For Educators” page for even more information and lesson plans. Click to see the Poster Contest Rules. Students will win $100 and teachers/group leader will win $50. We also have a video contest (for 6- 12 graders — new!). The VIDEO CONTEST theme is: We are Generation Tree. Student will win $100. Check out our “Contests” page for more information. Use your voice to reach others in your community. 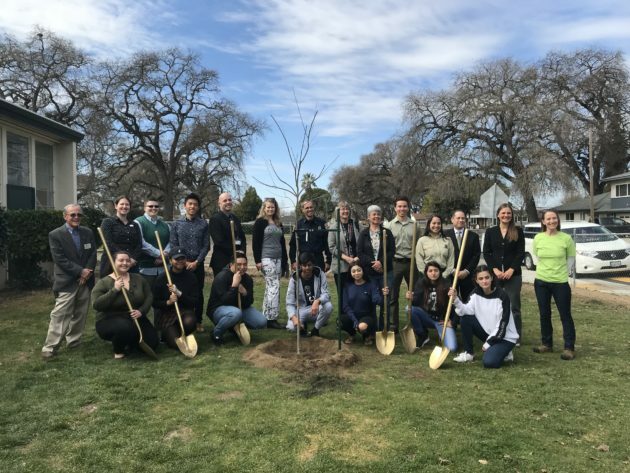 Whether simply talking to your neighbor or contacting your local news station, your love for trees can quickly become contagious and change your community for the better. Write letters to your local newspapers about your organization and your California Arbor Week events. The op-ed is usually read by those you most want to reach in the community, including business leaders and policy makers. Proclamations are a highly effective way to involve your local city council or mayor in your organization’s California Arbor Week efforts. 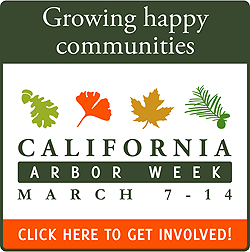 Apply this banner to your website to let visitors know your organization participates in California Arbor Week. Right click the image and select “Save Picture As” to save the banner to your computer. Make sure the file saves as a PNG file. Remember to link the button to https://arborweek.org when you post it on your website. OPTION 1: Perfect for the organization that needs a ready-to-order banner, that needs no altering. OPTION 2: Ready to use or ask your printer to remove the California ReLeaf logo and replace it with your own. OPTION 3: Best of all three worlds! Promote California Arbor Week, include your logo and give credit to sponsor California ReLeaf. Ask your printer to add your logo in the white space on the right.